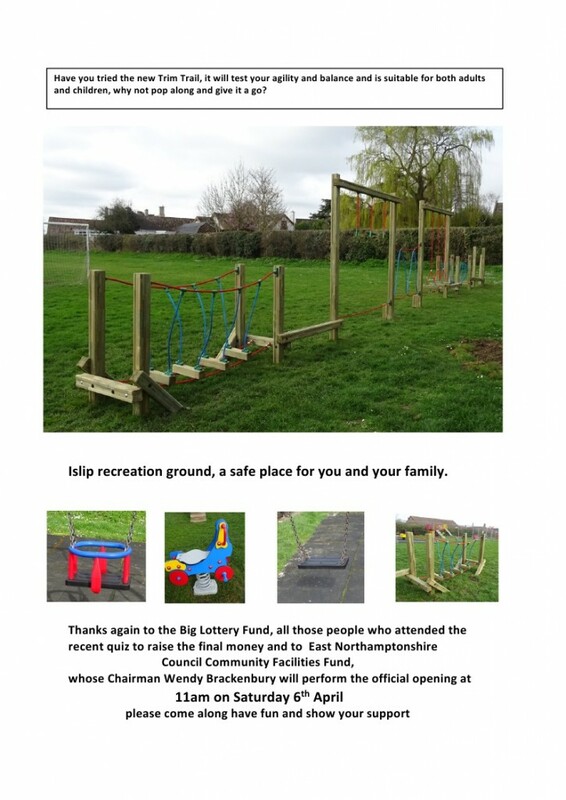 Islip Parish Council are to delighted to announce that the refurbished recreation ground will be officially re-opened on Saturday 6th April at 11am by the Chairman of East Northants District Council- Cllr Wendy Brackenbury. 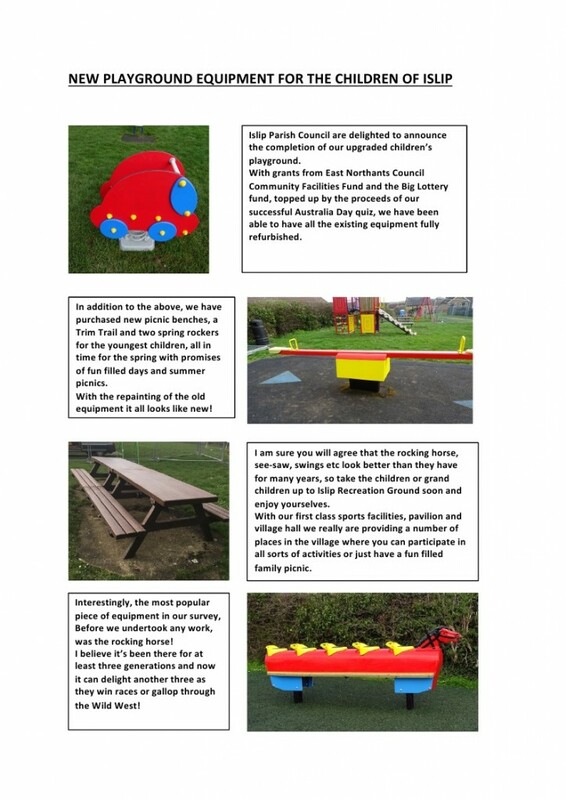 This entry was posted in Community News by Clerk. Bookmark the permalink.